British chip giant ARM is railing against what it calls the 'internet of silos' as it looks to put a processor in our everyday devices. The 'internet of things' has become an increasingly familiar term in the technology industry and ARM is attempting to be at the forefront of chips that are cheap enough to proliferate through everyday devices. Smart home energy devices are an obvious example – allowing people to keep tabs on their usage remotely – but this is just the tip of the iceberg according to ARM which is setting up a UK forum on the subject. "In the next five years, over £2.4 billion will be spent in the UK on smart home energy management devices, ranging from smart meters themselves to in-home devices that are connected to them," said Gary Atkinson, director of embedded, ARM. "This is a great example of an Internet of Things application, but is only a fraction of the market that will open up over the next 15-20 years. "There are massive opportunities for the UK and the industry as a whole in this market, but that requires a common approach to infrastructure and systems to enable the Internet of Things. "The UK can lead this thinking and that's why we are establishing a forum to create a blueprint for success. Working with innovative ARM partners, such as EnLight , Neul, Alertme and AquaMW, is a good place to start." 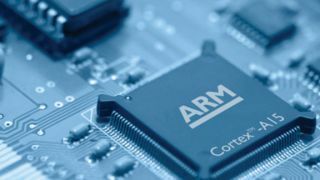 The news about the forum arrives a day after positive financials for ARM, with the company's IP shipping in two billion chips in the quarter. "ARM's royalty revenues continued to outperform the overall semiconductor industry as our customers gained market share within existing markets and launched products which are taking ARM technology into new markets, said CEO Warren East. "This quarter we have seen multiple market leaders announce exciting new products including computers and servers from Dell and Microsoft, and embedded applications from Freescale and Toshiba. "All of these new products are the result of technology engagements over many years, and ARM's long-term commitment to invest in the development of innovative technology."